Freud was not the scientist he thought he was. He was a towering literary figure, a communicator of the highest talents, who did his share to raise the consciousness of the civilized world in psychological matters. Now it is up to others to make something substantial out of the opportunity thus afforded by his pioneering zeal. 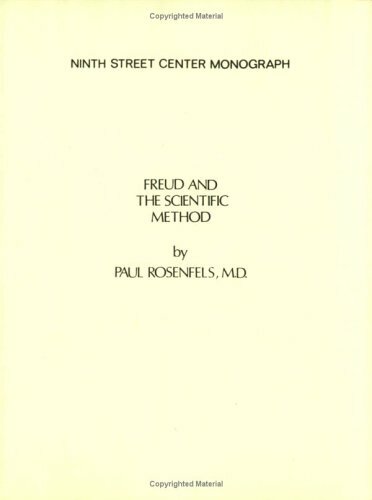 The main object of this book is to present the practical application of Freud's theories in one volume, hoping thereby not only to remove many false conceptions concerning psychoanalysis, but to stimulate further interest in Freud's original works. In these lectures Jung attempted to reconcile his practical experiences in psychoanalysis with the existing theory, or rather, with the approaches to such a theory. Some concepts are introduced which came to distinguish Jung's work from Freud's. by C. G. Jung - Moffat, Yard & co. Breaking from Freud by allowing for nonsexual psychic forces driving the libido, Jung made a more lasting name for himself than did his mentor. This book is a leap away from Freud's constraints, exploring the mythic aspects of our interior lives. by C.G. Jung - Moffat, Yard and Co.
Analytical psychology (or Jungian psychology) is the school of psychology originating from the ideas of Swiss psychiatrist Carl Jung. Its aim is wholeness through the integration of unconscious forces and motivations underlying human behavior.